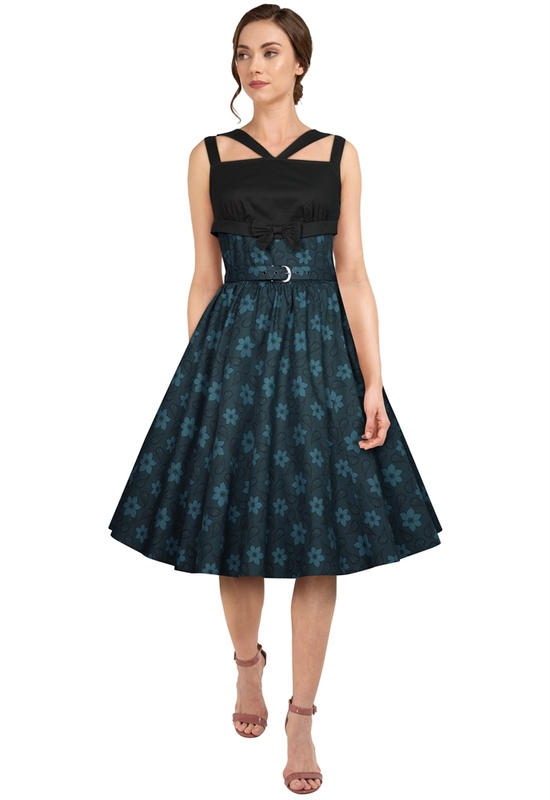 It's a retro dress with straps in bust and a bow in waist, back center zip. Side seam pockets. The petticoat is not included. Standard size approx. length: 41 inches; Plus size approx. length: 44 inches. Hello Candy, 2X measurement is same as a pluz 20, thank you. Hi CS Team! This dress has the plus sizes listed as 2X, 3X and 4X. Which sizes do these match up with? Would a 2X measurements be the same as a plus 18 or a plus 20? Thanks!